The first of the school year often filled with mixed emotions. There is the excited of seeing all your friends again, seeing who is in your class, is there new kids and what are they like. At the same time though there is a degree of fear of the unknown, what will my new teacher be like, will I have fun, can I do the work. 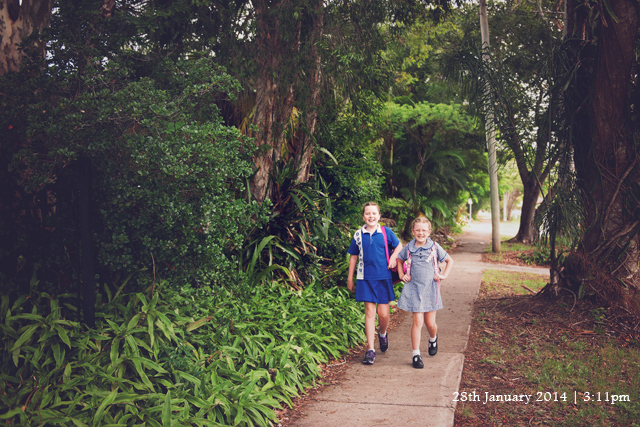 This afternoon I decided that I would walk up to school to pick my girls up. I wanted the time with them walking home to talk about there day and hear all about what happened. Best decision I made. In the busyness of life, making the time to create a space for these connections is so important. Both girls had huge smiles on their faces from the moment they greeted me all the way home. They chatted non stop telling me all about their new teacher and classrooms and their new routines. They had such a wonderful day. The fear is now gone, they have relaxed and are excited for a fun year a head.